Do you think you would know if you were being overcharged for eyeglasses or if your eye doctor was not telling you all the information you needed to know? There are a variety of myths concerning eye doctors that you should know about, especially if you are planning a visit to your eye doctor soon. The internet is a great place to purchase nearly anything, especially if you are looking to purchase something at a cheap price. Online, you will be able to find a variety of eyeglasses, you can even find designer eyeglasses at a very affordable price. If you have searched retail stores for eyeglasses or if you have been to an eye doctor’s private practice, you will find that those prices are significantly overpriced. Why? Most eye doctors want you to purchase eyeglasses from them first. 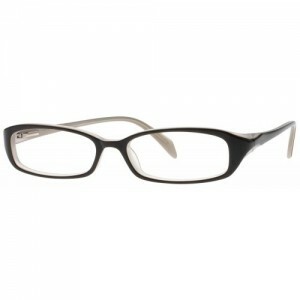 Regardless of the type of eyeglasses you are looking for, you will be able to find them without leaving your home. Did you know that an eye doctor is required to give you your prescription after you have finished your eye exam? Many people are not aware of this, but it is something everyone should know. According to the law, your eye doctor has a requirement to give you the prescription. You do not have to be forced to buy your eyeglasses from the eye doctor’s office; you have the right to buy your eyeglasses anywhere you want. You will find that many eye doctors will try to force you to spend your money on extras for your eyeglasses that you may not need. You may be told that you need anti-coating, scratch-resistant coating, anti-glare coating, etc. While these are all great extras to have, sometimes your glasses will already come with those features. If you need polycarbonate lenses, these lenses should already have a scratch-resistant coating. While extra coatings may be necessary for many situations, they are not always necessary. You have to make the best decisions according to your needs and how you care for your glasses. You do not have to be forced to wear thick, heavy glasses that will give you the “coke bottle” look or the “bug-eyed look”. 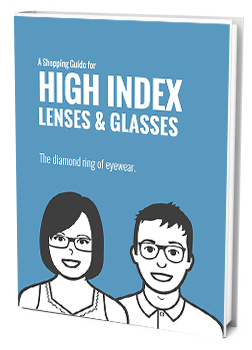 High-index eyeglass lenses are a perfect choice if you need thin and light lenses that are appealing and comfortable. If your prescription is strong or if you have a particular eye condition, high-index eyeglass lenses will be a great choice for you. You do not always have to make a trip to an eyeglasses store when you need your glasses adjusted. It is important to be careful when you are adjusting the glasses yourself. There are a variety of websites and videos that will give you advice on the best ways to adjust the glasses in the safest way possible. While sometimes you may be able to adjust your glasses on your own, there are times when you will need to let a professional handle it for you. If you do not feel comfortable adjusting your eyeglasses, you should probably hand them over to a professional. When you need regular checkups for your eyes, if you are having problems with your vision, or if you are experiencing any other eye problems, you should certainly consult your eye doctor, but it is also important that you do as much research as you can so you will know how to make the best decision on your own, and not be forced into something just because someone else said so.